Our customers requested an operator overhead protection system, and we responded with the Genie Operator Protective Structure (OPS) and the Genie Operator Protective Alarm (OPA). You now have the choice of two systems to configure your machines according to different applications and jobsite conditions. 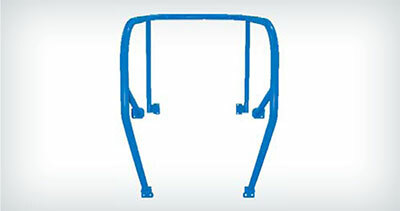 The Genie Operator Protective Structure (OPS) is an optional device for installation on articulating or telescopic boom lifts and provides secondary protection for operators in the event of contact with an overhead obstacle in certain applications. The Genie OPS features a tubular steel structure designed to transfer the kinetic energy into surrounding structures while maintaining a protected area for the operator. 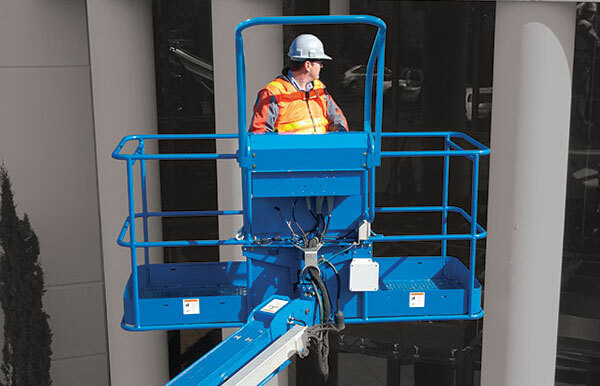 The device can be attached to most boom lifts with 1.83 m (6 ft) to 2.44 m (8 ft) platforms and allows for excellent visibility. It weighs 16 kg and is bolted directly on the boom lift’s platform; no modifications are needed and both systems may be used together. 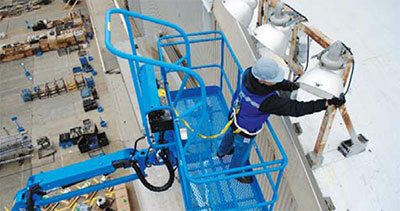 For use on 1.83 m to 2.44 m platforms - Suitable for all AS 1418-10, CE and ANSI certified platforms. The tubular steel structure is designed to transfer kinetic energy into surrounding structures, while maintaining a protected volume for the operator. 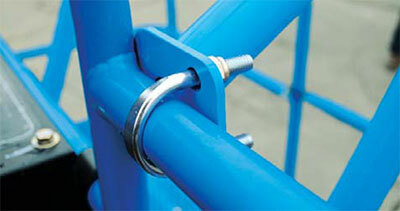 It weighs 16 kg - Bolts directly to the boom's platform, no modifications are required. AVAILABLE NOW! Ask a sales representative for more information. The Genie Operator Protective Alarm (OPA) system is designed to alert ground personnel when an operator makes contact with the platform control panel by interrupting boom movement, sounding an alarm and causing a light to flash. 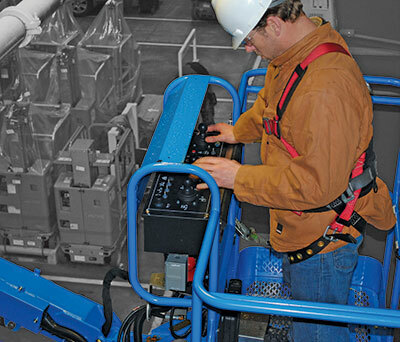 The system is designed to be as unobtrusive as possible to operators, featuring a pressure sensitive horizontal bar that is fitted at around waist height below the boom lift’s control panel. 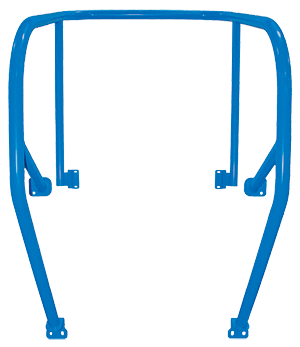 When pressure is placed on the bar, as may be the case if an operator makes contact with an overhead obstacle, the system is activated. The system also features a reset button that can be pressed if the system is inadvertently activated. The Genie OPA is designed to be moved from machine to machine, rather than remain installed on a single machine. 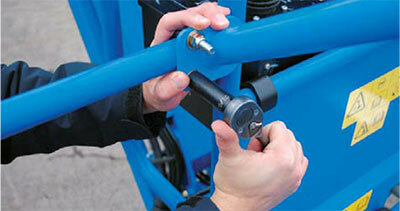 Stops boom movement – Stops boom movement when activated when pressure is applied to a sensing pad. Audible/Visual alarm – The Genie OPA includes both audible and visual alarms as standard. Transportable – The Genie OPA was designed to be moved from machine to machine. This allows fleet managers to easily move the OPA when needed. Aftermarket availability – These systems can be installed in the field. Does not require service – The Genie OPA has no breakaway parts. Ask a sales representative for more information on pricing and availability.